Before commencing with any projects, there are legalities you need to consider before publishing items that are copyrighted. Through these documents, you will be able to legally state your purpose for using copyrighted material and politely ask the original author for permission. 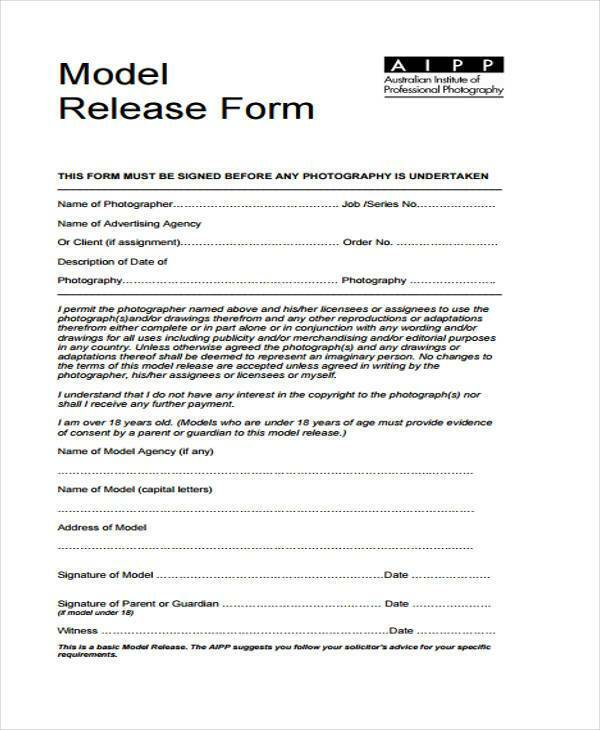 These Release Forms will provide you different formats you can use should such scenarios occur. In medical and accidental instances, for example, there should be a Release Form issued in order to legally share your condition for proof or as evidence. Such forms are also useful when you need to show your employers your current status and proof of health. 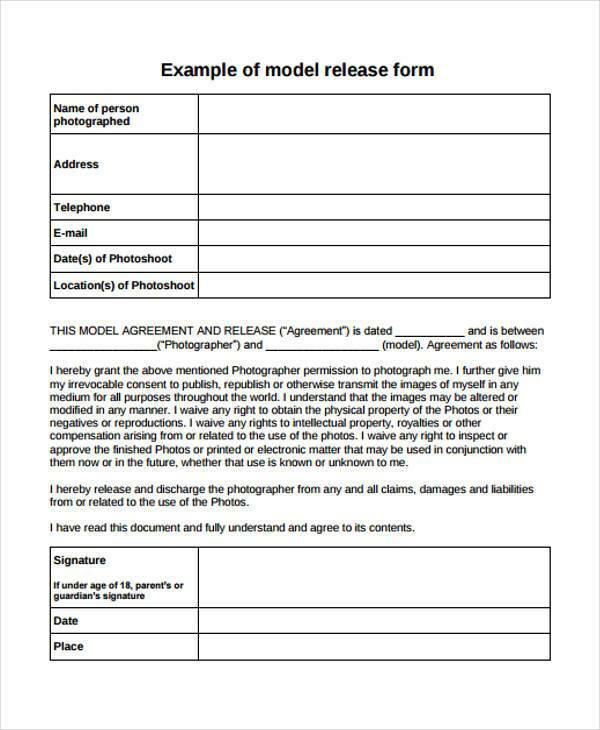 For any big-scale projects that involve commercials and publications, it is important to get the consent of the models and clearly understand their terms and conditions. 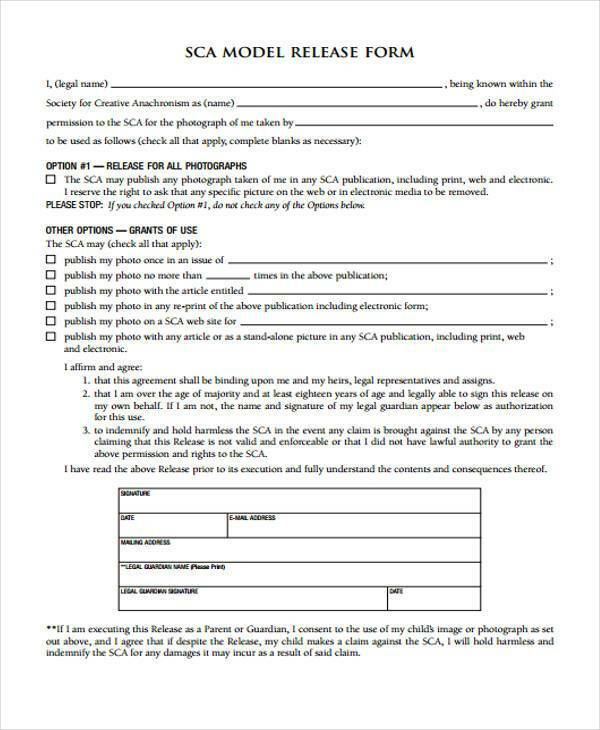 It is also imperative to get their permission for your publication of their photos, especially if minors are involved. 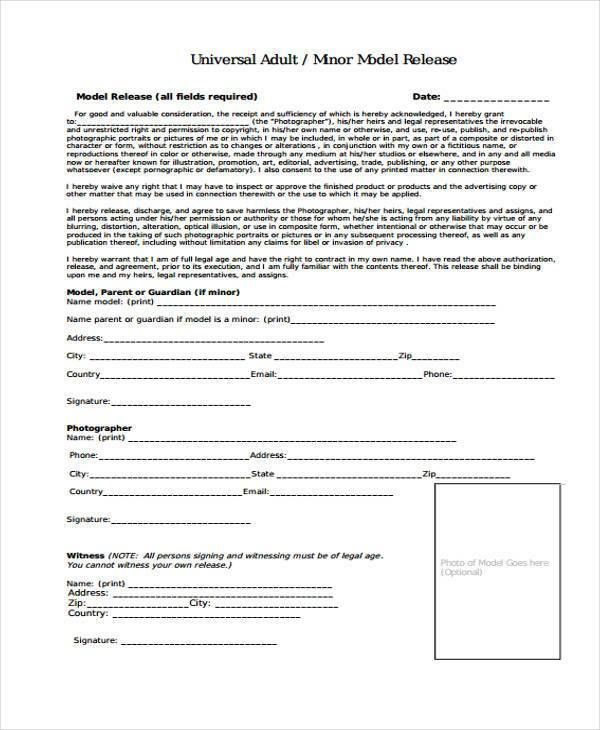 These Model Release Forms will provide you helpful formats that would give you an insight of the required items you need to know in order to modify or use as is. There are ten forms you can use, depending on what you need. They are modeled to be comprehensible in order to fully understand the reasons as to why some items cannot be simply published without a proper consent. These are also made understandable and transparent for both parties to fully digest the terms and conditions set by one another. This is to avoid legal difficulties and can be used as proof in case there is a breach of agreement during the project or even in publication. In other words, these simplified forms protects the rights of the models involved in the said project, may they be minors or of legal age. 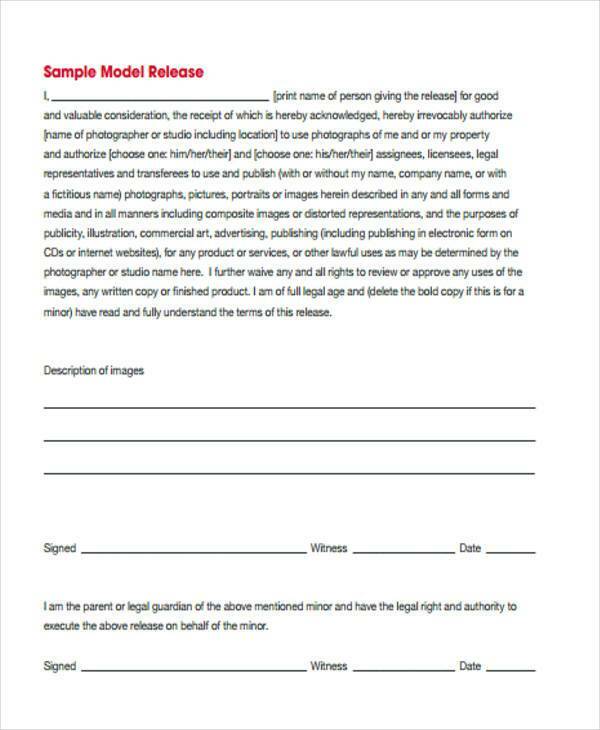 Aside from seeking permissions from models, you must also appeal your case to the photographer who took the shots. They must know where their projects and photos are being used in order to avoid copyright infringement. 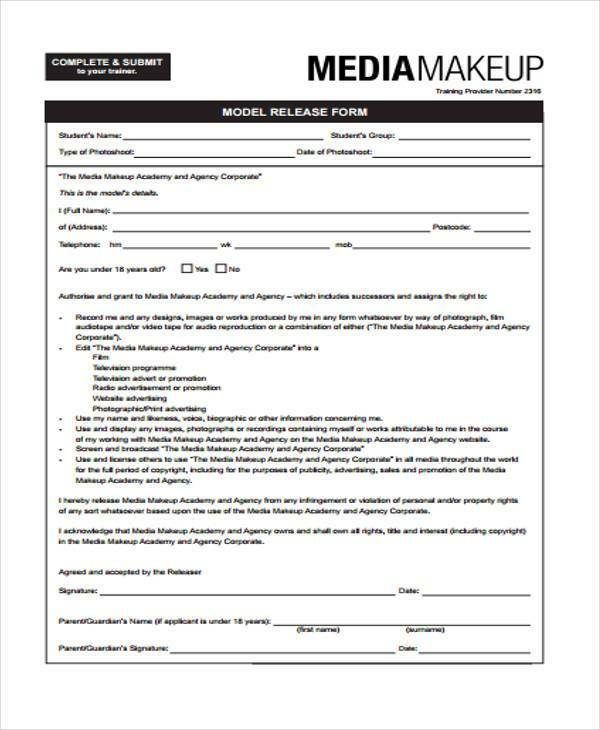 Through these Photographer Release Forms, you will be able to fully disclose your purpose and terms to publish the photos in publications of your choosing. These forms will surely help you avoid possible brushes with the law and continue your projects without hassle. There are nine formats you can use for your personal projects or publication purposes. 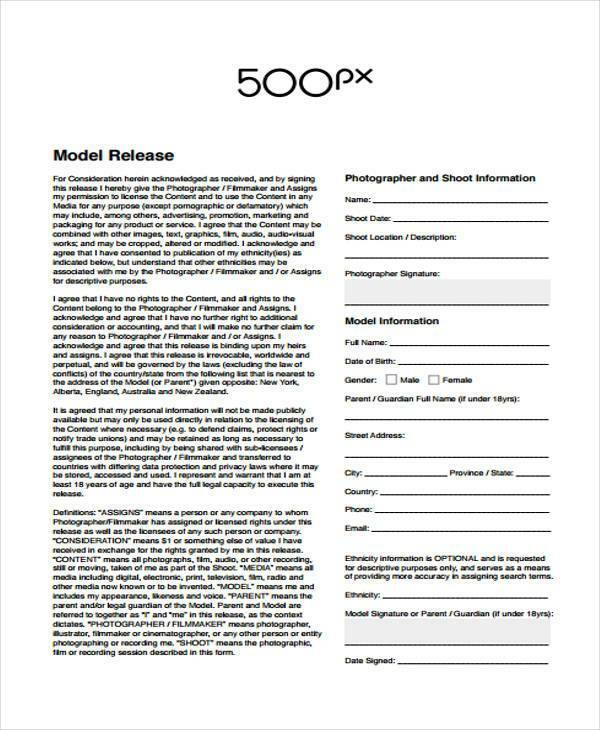 These purely list down the terms and conditions of the photographer before they agree to the release of their works. These are usually needed for big-scale projects and important to use as proof when there are specific instances that demand it. These also record the terms and conditions of both parties in order to avoid breaching of contract. If you really want to make your own format to declare your conditions, you must keep in mind to simplify and carefully break down the details of your agreement. It is wise to think one step ahead when it comes to delicate matters that involve possible copyright infringement and sharing of ideas.